Eve and I were getting ready for school in my bathroom this morning. 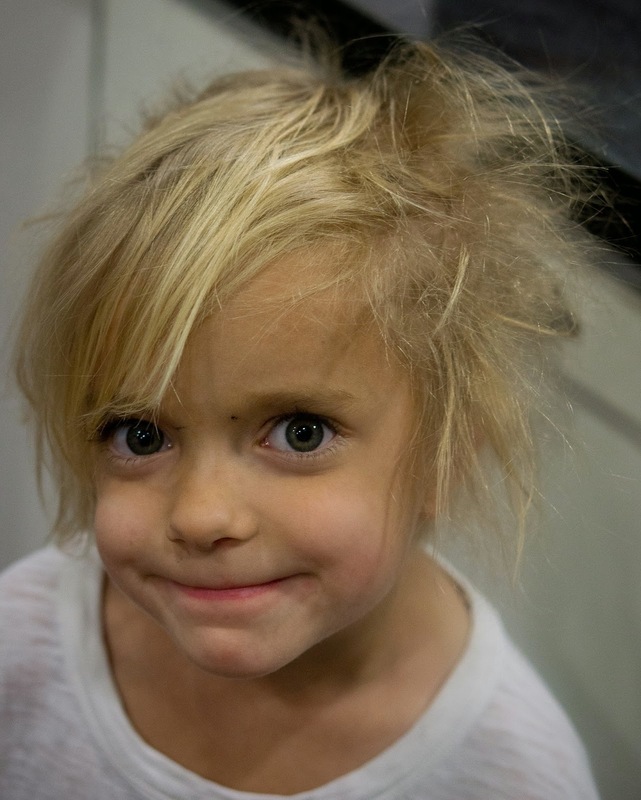 She went to bed last night with her hair slightly damp, and it was crazy town this morning. Not as crazy as her "starfish head" used to be, but still pretty bad. Oh. Where did my baby go? "Mom! Water is a miracle! 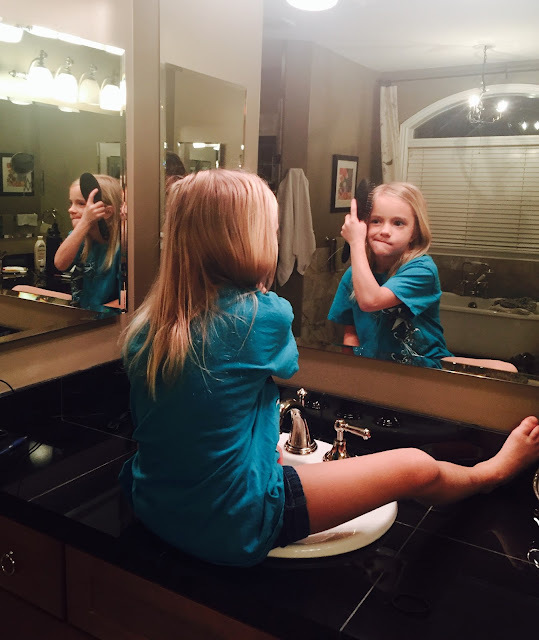 Just a little bit and your hair is completely straight and smooth!" "Plus, water is a miracle, because without it . . . we die." "And, we need to stay hydrated. Water is a miracle!" On so many levels, my darling. Why is your hair so messy today? "Maybe because I woke up at 2:15." Why would you wake up so early? "Because today I get to sit at the teacher's desk, remember? Somebody else did it yesterday, but she promised me today that I could sit there and that nobody else could steal it from me." Her teacher rewards her students with behavior points, and if they save up enough of them, they can buy time sitting at her desk for the day. It's going to be a great day for my girl! And then she skipped off to get her lunch made.